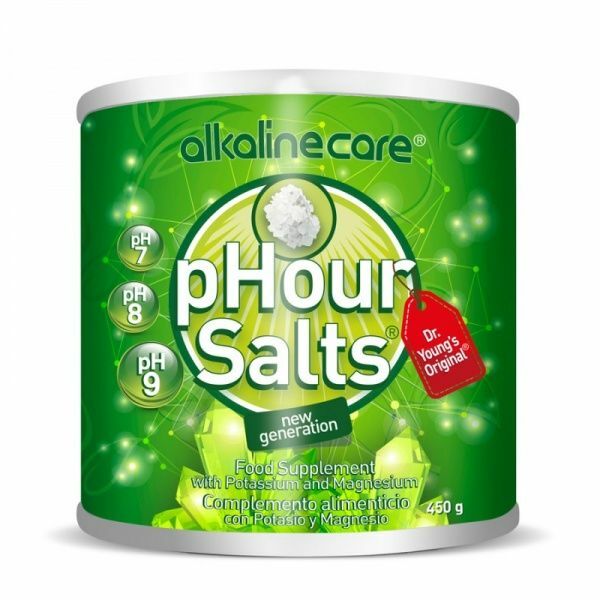 Electrolytes found in pHour Salts supplement help to prepare alkaline water and restore mineral levels in the body. Directions for use: Suggested daily intake is 1 measuring spoon (6g) 3 times a day. Mix with a glass (250ml) of clean water and drink 1 hour before or after meal. Do not exceed daily recommended dosages. Nutritional supplement is not replacing diversified diet. It is possible to prepare 75 liters of mineralized alcaline water.